A gorgeous blue sky morning in Shenandoah from the top of Black Rock Mtn. 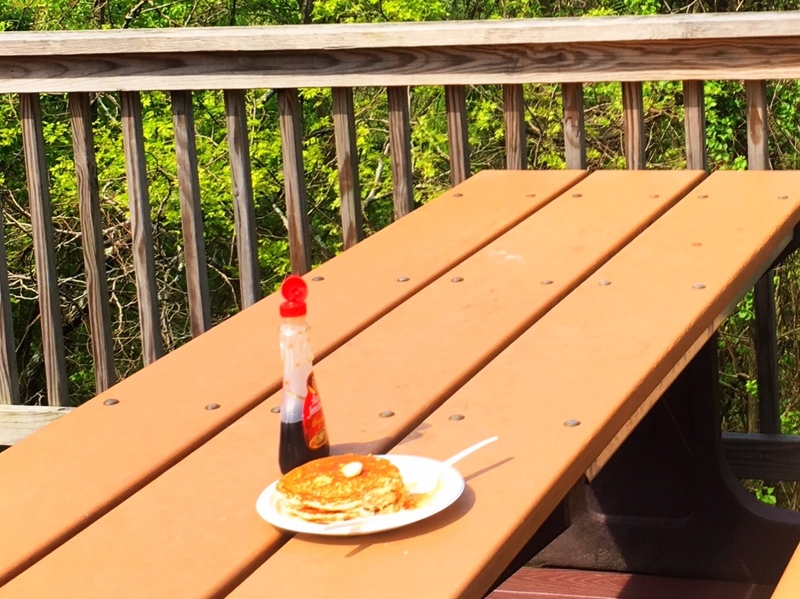 One of the many conveniences of crossing Skyline Drive so many times…a fat stack of pancakes for 2nd breakfast. 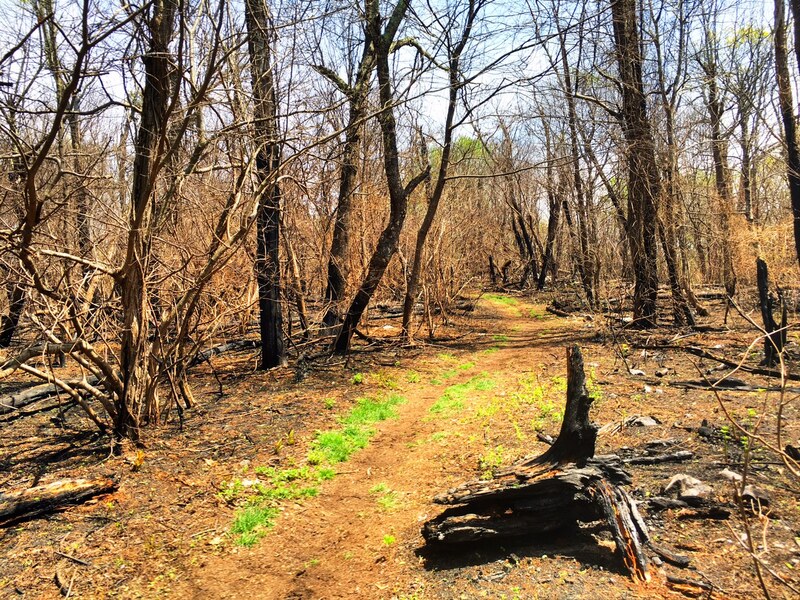 There was a fairly large fire that came across the AT just the other month. 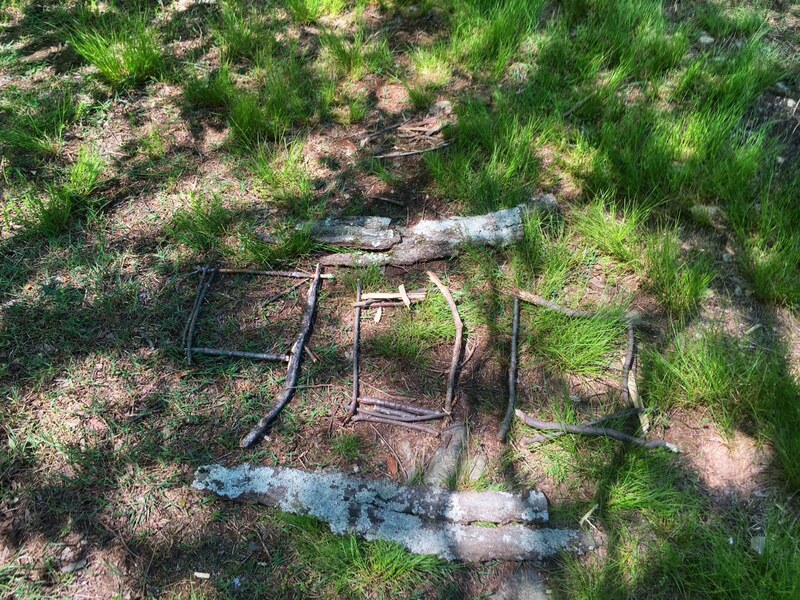 Amazingly, the grass is already starting to come back. 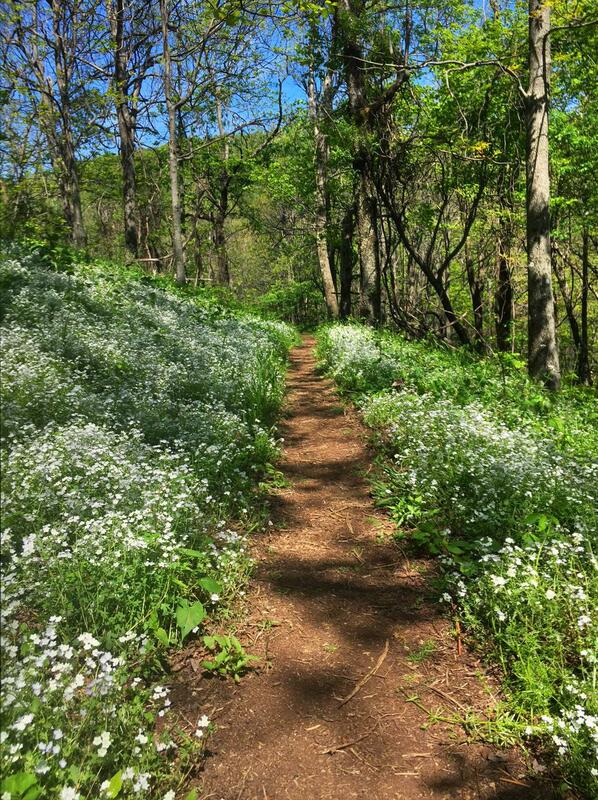 Pretty little white flowers lining the trail. 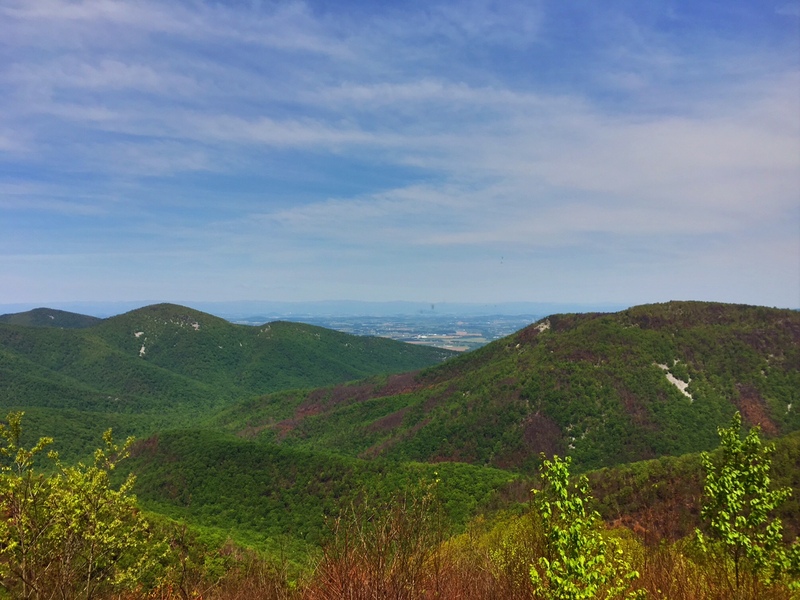 The terrain and hiking tread has definitely been easier through Shenandoah. I never thought a 22 mile day would come easy but I even stopped for pancakes and got in by 4:30. I typically would have gone further but it’s hard to find a decent campsite away from the shelters and the next shelter was 10+ miles away. So a relaxing evening in camp it was. There are always lots of interesting folks around to talk to as well. 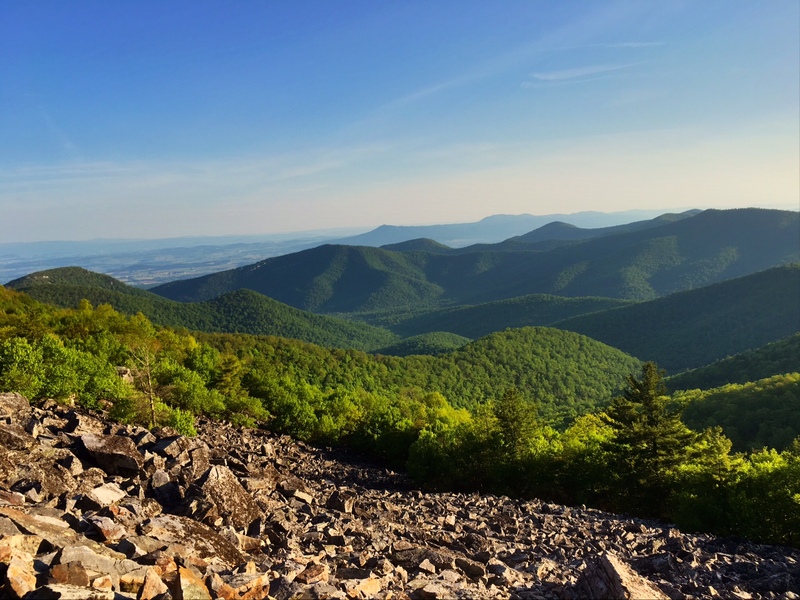 Fond memories of hiking a small part of the AT in Shenandoah with my late brother. Enjoying your blog-got caught up in Costa Rica with J and Liz. Looking forward to seeing you in the Bear Mountain area. Look fwd to seeing you too ! That’s Bug Dawg Juice to you !